Spring Is Here – So Is Spring-Cleaning Time! Yes, wintertime can be a special time in Oregon. The ground is resting and the cold crisp days are invigorating. But, those cloudy and rainy wintertime days can also be dark and gloomy, for some downright depressing. Especially, when it comes to the cleaning and maintenance within your home. But good news! Every year around March/April life begins to awaken from wintertime slumber. The sun begins to stream through your windows and you realize SPRINGTIME is here! Then, oh my gosh, you also realize just how much dirt, debris, pet dander, dust mites etc. has infiltrated into your home. That’s why it’s called “spring cleaning”! Now is a great time to call us at Rainbow Carpet Cleaning and find out about “all the ways we can help breathe new life into your home environment”. What spring-cleaning will accomplish for your carpets and upholstery! All sorts of contaminants from pet dander, household dust, and tract in soil and dust mites can create a host of allergic reactions in both adults and children. There are nasty germs and viruses, which can become embedded into your home furnishings. Professional attention by our skilled technicians can neutralize many of these “nasty bugs”. 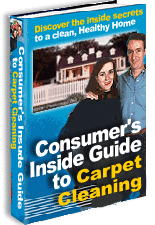 Many folks don’t realize that nearly all carpets require professional cleaning at least every 18 months to keep warranties in effect. Doing so often makes a difference in a carpet lasting 15-20 years and still looking great versus wearing out in 5-7 years from neglect. For a whole bunch of reasons it is important to take good care of your home environment. 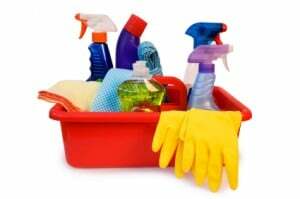 Check out our “Springtime cleaning special” to help you get on track this Spring! Save money and beat the summertime rush! And remember… You deserve a cleaner healthier home!